Telemed abortion is a process where dangerous abortion pills are dispensed via teleconferencing hook-up. An abortionist sits in front of a webcam and pushes a button to electronically open a drawer in the faraway clinic containing the drugs. A licensed physician never physically examines the woman at anytime. Operation Rescue did their part in alerting authorities in Iowa and things started happening to change the law there. Shortly after this discovery we went to Iowa and during an interview that I did with Iowa Public Radio Planned Parenthood Federation of America (PPFA) revealed that expanding medical abortions into every Planned Parenthood clinic in the country through the use of the “telemed abortion” scheme was part of PPFA’s Strategic Plan for 2015. This according to Operation Rescue would have represented the, “largest expansion of abortion services since Roe v. Wade.” We had no idea where this research would lead but as a result 13 other states have subsequently restricted telemed abortions. Read about the latest victories in our September Newsletter by clicking HERE…and be encouraged with us as we reflect upon Galatians 6:9- Let us not become weary in doing good, for at the proper time we will reap a harvest if we do not give up. 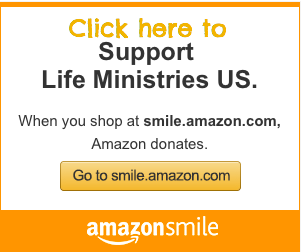 THANK YOU FOR SUPPORTING OUR LIFE SAVING MINISTRY, SO THAT WE CAN CONTINUE OUR FIGHT FOR LIFE…IN THE TRENCHES! DONATE ONLINE HERE.